Sharon Morkal, mother of FDNY Lieutenant David Morkal, was inspired by the multitude of phone calls she received on 9/11. 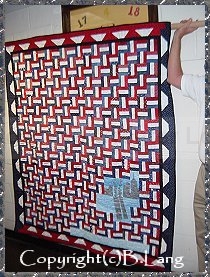 She and her Kokomo Peacemakers Quilt Guild made this for everyone to see as a permanent memorial for all those firefighters lost at the World Trade Center. It is hanging at Fort Pitt in Lower Manhattan. 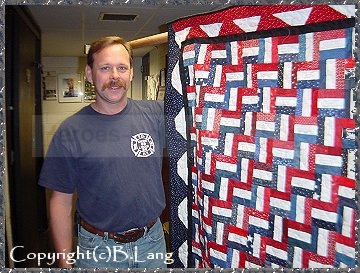 You are welcome to stop by and see it or learn more in our upcoming book with the full story.